HEALTH students from a Teesside College have offered a lifeline to a St John Ambulance unit by pledging their volunteering services. More than 15 students from Redcar & Cleveland College have signed up to a first aid training course with St John Ambulance based in Marske, which was under threat of not opening due to a lack of volunteers. 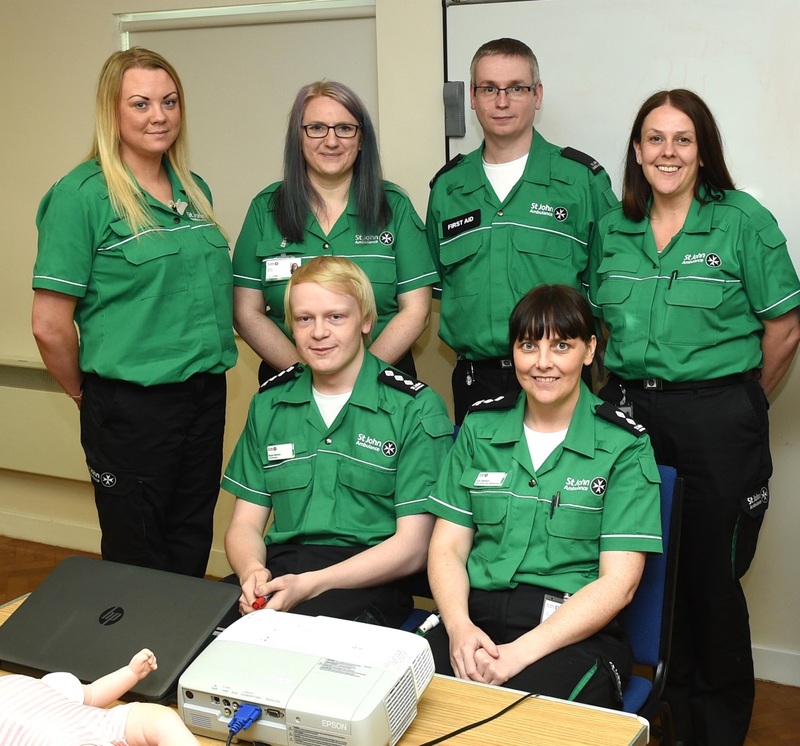 Following the Access to Health students’ applications, the first aid organisation, which relies on community support to help fill voluntary roles, launched the new unit on 01 May 2016. After several weeks of training, all students passed the course and achieved first aider status. The students learned about different aspects of first aid from resuscitation, managing a scene to wound care and are now equipped to work as a volunteer and offer first aid cover at local events, fetes, festivals, concerts, exhibitions and ceremonies. Rachel Richardson, an Access to Health student at Redcar & Cleveland College, who signed up to volunteer with St John Ambulance to gain experience in the healthcare industry, said: “I’ve always wanted to learn how to administer first aid and I’m hoping to go university to study to become a paramedic. Volunteering with St John Ambulance will give me vital on-the-job experience whilst learning how to work as part of a team. Ryan Davies, unit manager at St John Ambulance in Marske, said: “The team is so overwhelmed by the valuable support of Redcar & Cleveland College students. Their desire to help people in their community has ultimately saved the new unit, which will now be able to open following their applications. Michelle Kelso, Access to Higher Education Health Pathway tutor at Redcar & Cleveland College, said: “I’m so proud of the students who have pledged their time to support such a vital community service and it’s fantastic to know they have played a major part in bringing the unit to life.